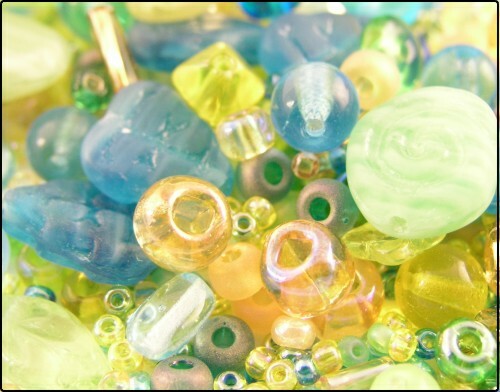 Fun mixes of beads with Czech pressed glass, seed beads, sometimes some wooden beads and who knows, whatever I happen to run across. Each mix comes in a nice plastic box with a friction fit lid and has at least 32 grams of beads. What does that mean? I strung a box at random and it had 60 inches of beads in it! 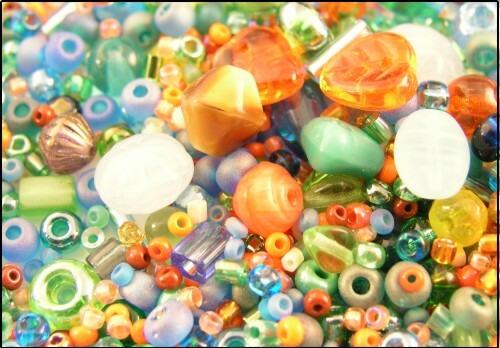 That's a lot of beads. 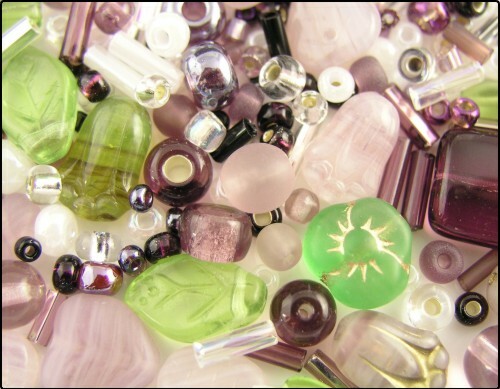 These are really handy for charm bracelets and embellishing wearable art as well as beading in general. Beautiful mix of teal, aqua and gold tones like the beautiful vintage sari I love so much! 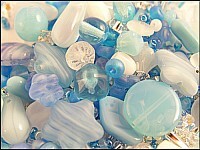 Frosty blues and whites, thinking of winter. Bright fun colors of the rain forest in this blend. Deep green, blues and bright orange! 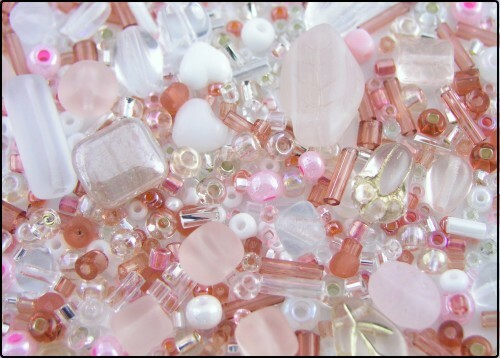 Soft and feminine pinks and whites in this mix. Sort of makes you think of yummy cotton candy at the fair. Wonderful mix of purples and greens with a bit of white.